This page is about the nature of giving and how giving works with the ministry of Cavendish Baptist Church. For information about the Emergency Shelter Initiative of the Cavendish Fire Dept., please Click Here! You can support the church’s work by donating via Pay Pal. Have you ever tried to get a gift for someone who has everything? The Bible addresses money and wealth more than almost any other topic, but does God really need our money? What can we really give to God, the creator of the universe? Psalm 50 reminds us that everything in the world is God’s. If we give generously it won’t make God richer, and if we give sparingly it won’t make God poor. If our giving isn’t about what it can do for God, it must be about what it means for us. Many times we make material things more important than pleasing God. How many time have we heard of someone sacrificing family or friendship for a successful career? How many of us spend more time making money than we spend on our relationship with God? Our attitude toward what we possess is of crucial importance to God. At Cavendish Baptist Church our focus is telling the Good News about Jesus Christ and helping all people improve their relationship to God. To accomplish this there are costs. Jesus gave his very life on the cross so that we might know God. As followers of Christ we are called to give as individuals and as a community, both personally and financially. The work of the church is done by its members, even our pastor is counted as a member. Our expenses are paid for by those same members. If Cavendish Baptist is the place God has called you to be, you are also called to support fiscally as well as personally, and in doing so we participate in the work and mission of the Body of Christ. The standard for giving in the Bible before Jesus was a tithe, or 10%. Tithing is still a way of acknowledging all of our sustenance comes from God. 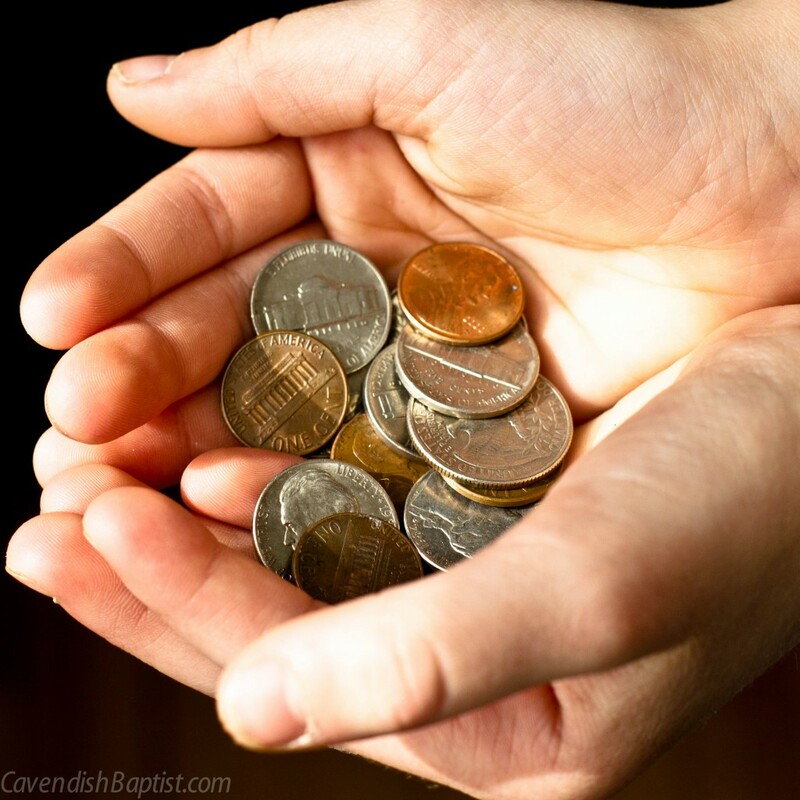 But, Jesus’ teaching builds upon the foundation of tithing and calls us to give far beyond that small amount. Indeed, sacrificial giving is a way for us to act Christ-like. So not only is our continual support important to the financial well being of the church, but it is also a key part of our how our faith guides our lives. If you are considering giving appreciated assets, an old church treasurer has some thoughts. If you would like to give to Cavendish Baptist Church as part of your will or estate plan, the American Baptist Foundation can help. If you would like to make a donation to the Deacons Fund (100% of the money received is given to those in need) please make the check out to Cavendish Baptist Church and put “Deacons Fund” in the memo line of the check. Recipients of monies from this fund are held in the strictest confidence possible.